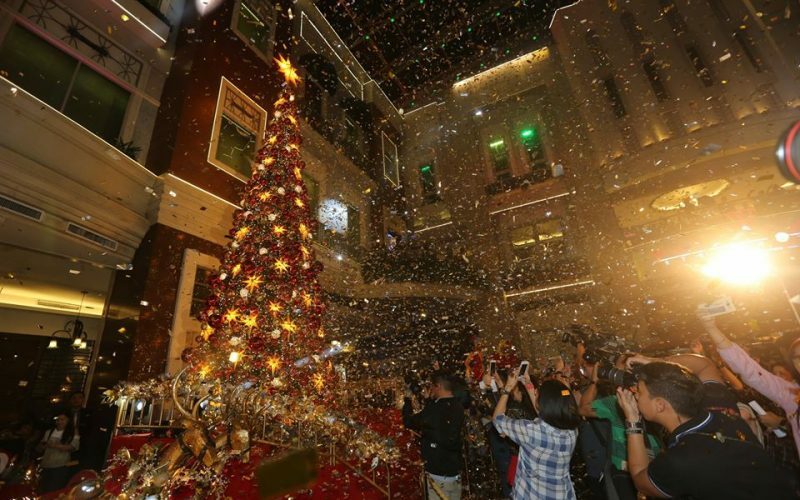 Araneta-Center Cubao lets you enjoy its jaw-dropping, gigantic Christmas tree that soars about 100 feet. Dressed up elegantly with mesmerizing ornaments and finished with a large Christmas star at its apex, it’s the centerpiece of Araneta Center’s Christmas special. Aside from the dazzling tree, visitors can take a snap and walk through the light tunnel that has 2,000 dancing lights. Just right across NAIA Terminal 3 is Resorts World Manila where you can find the longest lighted indoor corridor with 110 meters in length that’s made of 100,000 multi-colored lights. 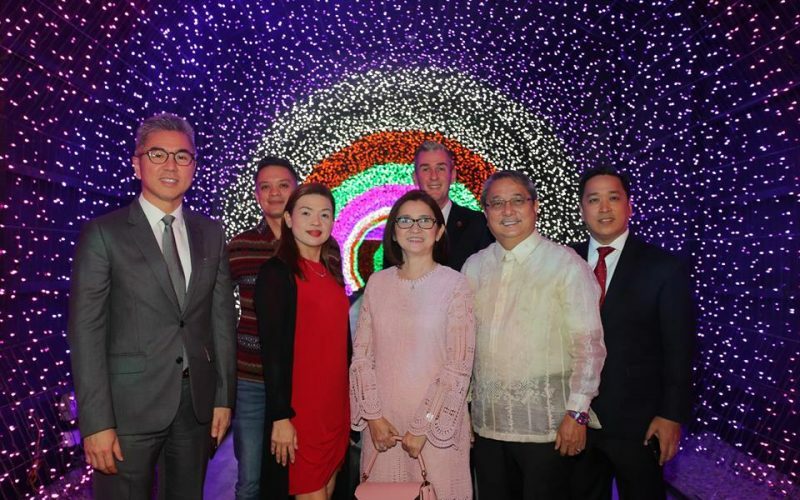 “Lumina: Walkway of Lights “ is the newest and the most colorful offering of Resorts World Manila that’s perfect for getting into the holiday spirit (and great for your Instagram feed). 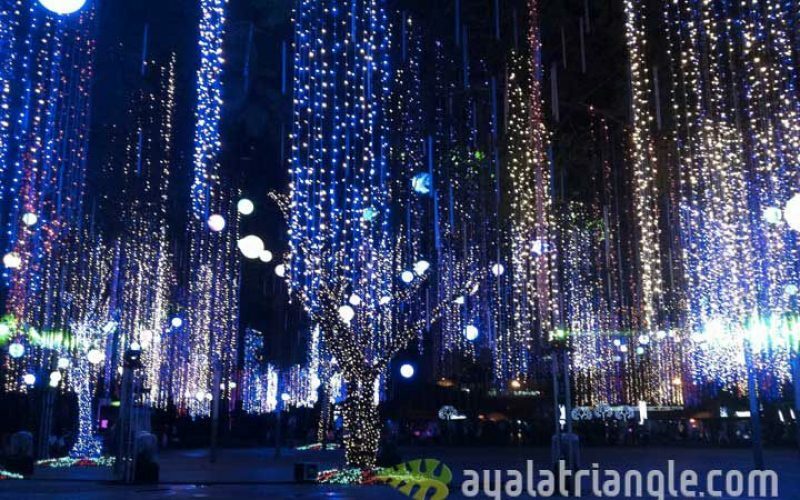 Every year, people flock to Ayala Triangle to see the sparkling lights that envelop the whole space. In addition to this year’s dancing lights, Ayala Triangle Gardens features the “Festival of Lights,” with three 20-watt animation lasers and giant haze machines that run every 30 minutes from 6 pm to 10pm. While the south has the Ayala Triangle’s Festival of Lights, the north has the Vertis Northern Lights. Enjoy the extravagant light show while hearing Christmas symphonies. Also worth seeing is the beautiful centerpiece display of the show: a giant Cathedral covered with dancing lights in sync with the beat of Christmas melodies. 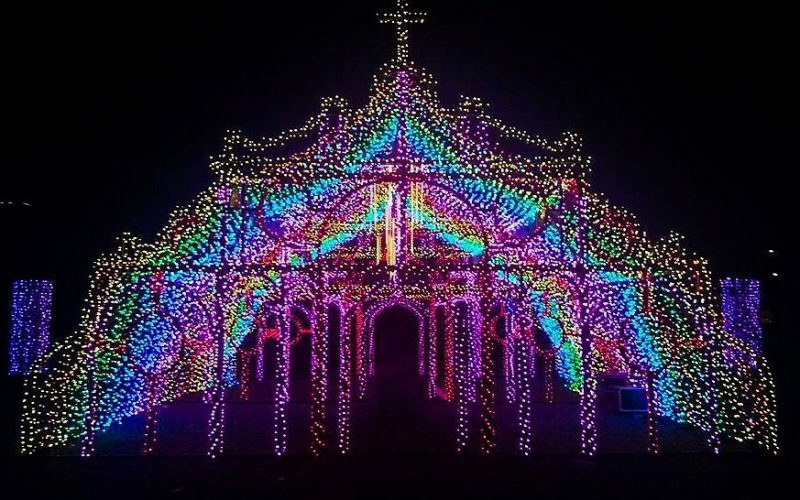 Experience this light extravaganza from November 16 to January 8, 6 pm to 10 pm. 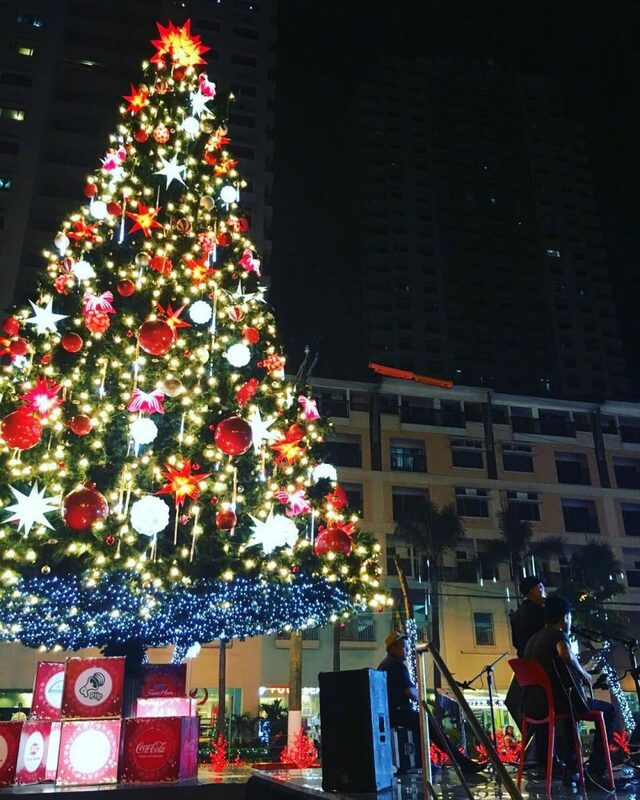 Catch the Christmas Musical Street Light Tunnel of Ortigas East that will run until January 7. 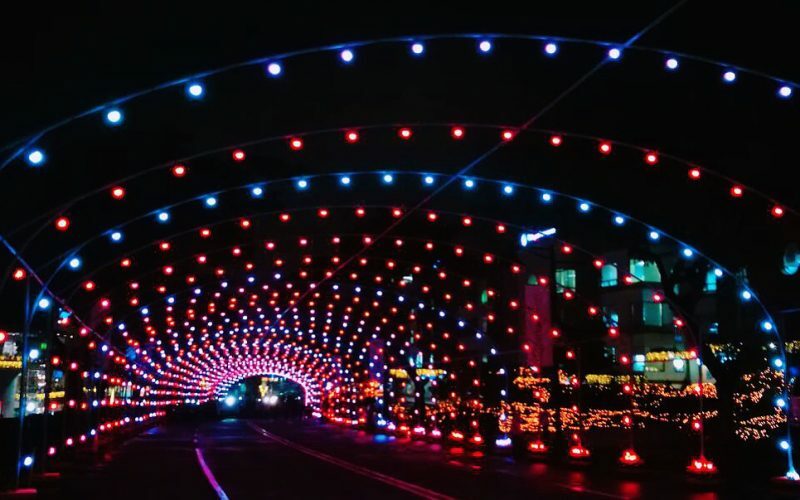 Located outside Tiendesitas, it is patterned after holiday light tunnels of Kyoto, Japan and Vancouver, Canada. The tunnel is illuminated with 2,368 lights and 13 mini searchlights, making it the first Christmas light tunnel in the country.